Wall décor completely changes the look of your room whether it is your bedroom, drawing room, living room, bathroom or kid’s room. In kid’s room wall décor, you can decorate the walls with their favorite drawings, inspiring prints and cartoon theme characters etc. But for teenagers’ room, the wall decoration is quite different from the kids’ room. Appealing wall candle holders, gorgeous wall sconces, beautiful wall clocks, charming wall vases, decent wall wine racks, illuminated wall shadow boxes etc. give a final glamorous touch to the walls of your room. Decorative and pretty candle holders look great in your rooms. When some beautiful candles are placed in it, then they will spark light in your rooms. 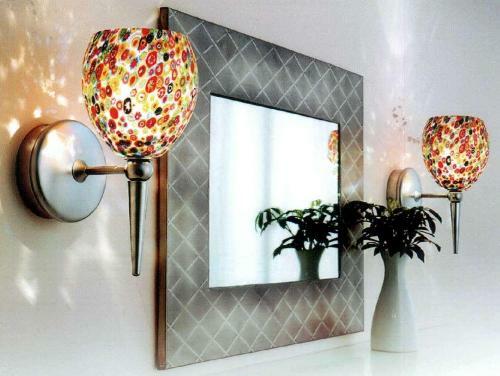 For an extraordinary look, you can hang wall sconces by a fireplace, around a mirror or on a wall. 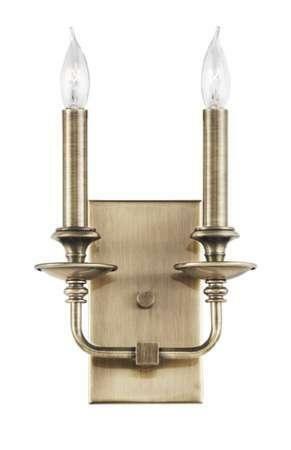 Wall sconces suit to every interior style whether it is antique or modern or traditional. Wrought iron wall candle holder offers you a comfy feeling when decorated with different colored aromatic candles and make your mood delighted. You can embellish your room walls with beautiful and stylish architectural pieces and it will make your boring room a little bit exciting. You can create an inviting atmosphere in your room by choosing the right colors and textures of the architectural pieces. Ancient artwork on walls offers elegance and style to your room. For a unique style, you can mix old art pieces with the modern pieces. Wall clocks are an easy way to decorate the wall of your rooms. They tell you the time as well as improve the décor of the wall of your room. Stylish and elegant wall clocks offer a style statement to any space on your walls. 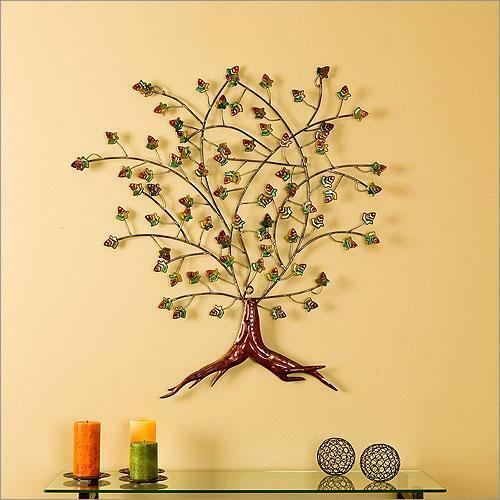 Install metal wall art and sculptures on the walls of your room to make a style statement. Metal wall art and sculptures offer an exclusive look to the walls of your room and leave an everlasting impression to every guest’s mind. Either you can use them for indoor or outdoor decoration. 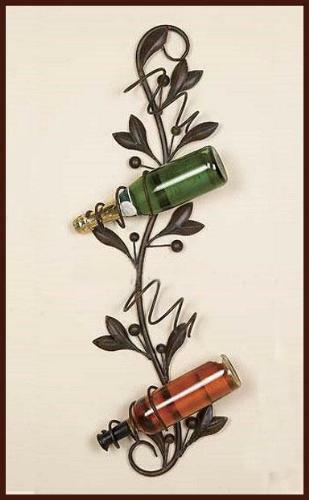 Copper metal art just offer a brilliant look to the walls of your room as it can change its color naturally. Metal wall art and sculptures are available in large or small sizes but you can choose according to the wall from where it will hang. For a unique style, you can collect various small metal art pieces and make a large piece. 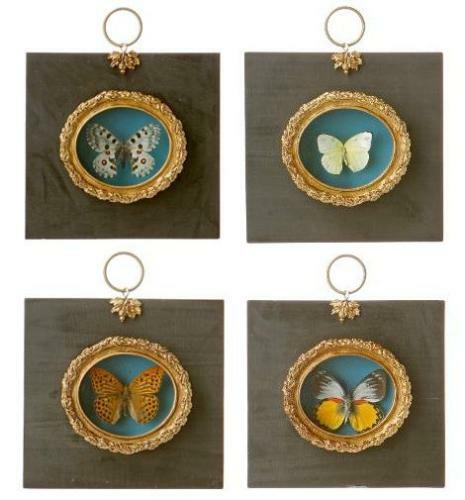 You can give a dramatic touch to the walls of your rooms with the shadow boxes. Modern shadow boxes create a fascinating environment within your favorite room and your guests grab into the charming beauty of the shadow boxes. Vibrant colors of shadow boxes make the wall outlook absolutely different. 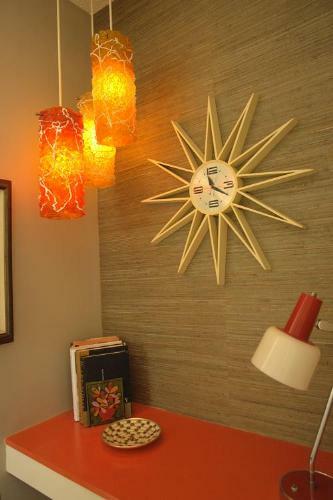 If you opt for a style statement, then wall lighting is the perfect choice for your room walls. Beautiful and attractive designs of wall light provide a designer look in the overall room interior. A wide spectrum of wall lighting fixtures is available in different materials such as brass, bronze, chrome, copper, gold etc. 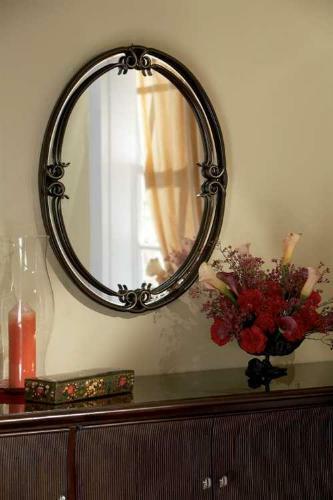 Wall mirrors embellish your walls in a perfect way and you can make the room look inviting. Decorative wall mirrors enhance the beauty of the interior and you can view your own image perfectly. Wall shelves are of practical use and you can display the things in the best way. Decorative wall shelves give you the opportunity to change the different decorative pieces instantly when you will get bored of them. Stylish and decorative wall vases make the wall look appealing and interesting. 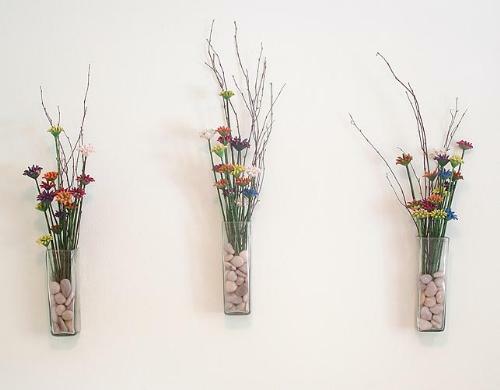 You can embellish the wall vases with beautiful and gorgeous flowers. If you use real flowers in wall vases, then fragrance spreads throughout the room and makes the whole interior aromated. If you want to save the space in your rooms, then wine racks are the best solutions. Designer and stylish wine racks give you the space on the walls where you store and display bottles. They will definitely go pleasant with your interior style. 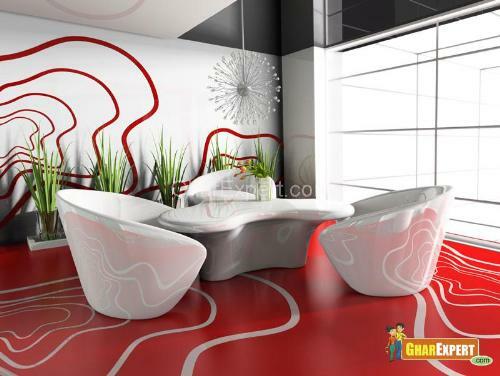 Extremely beautiful and enchanting paintings make the room wall more appealing. For a different style, you can paint the walls in a versatile manner. Suppose you can paint bold zigzag pattern on the walls of your room to make it more charming.